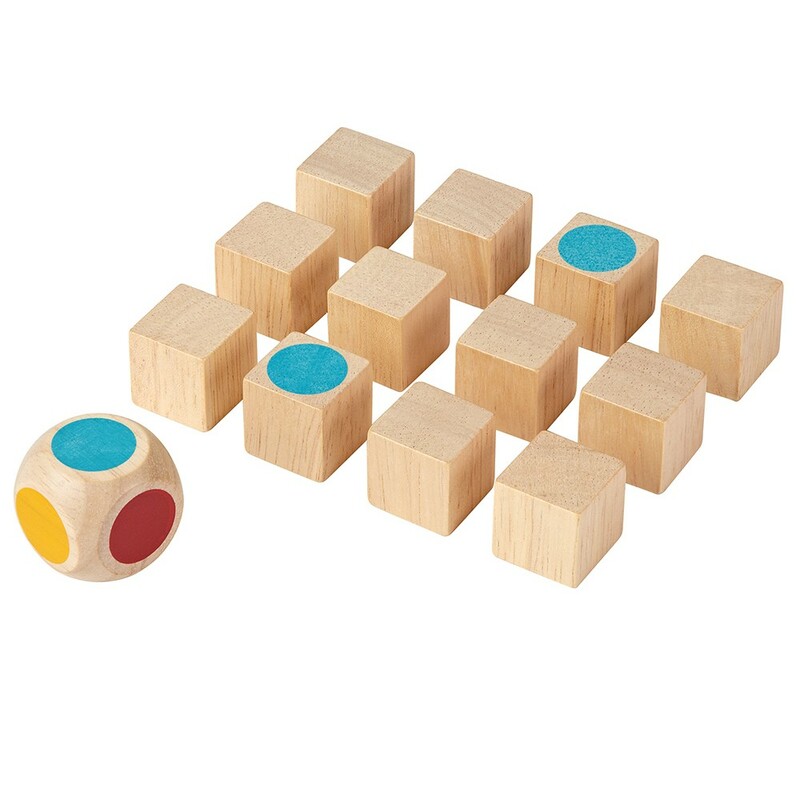 Put your memory to work with this children's wooden game. 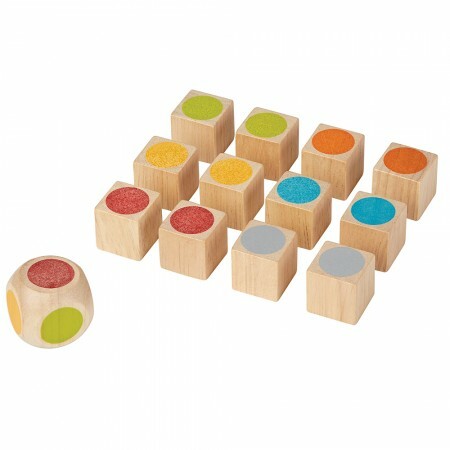 Each of the twelve wooden cubes has a coloured dot on one side. 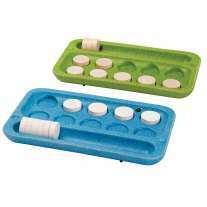 Turn the cubes so the dot is facing down and throw the dice with a different coloured dot on each side. Which ever dot shows, try to find a corresponding cube. 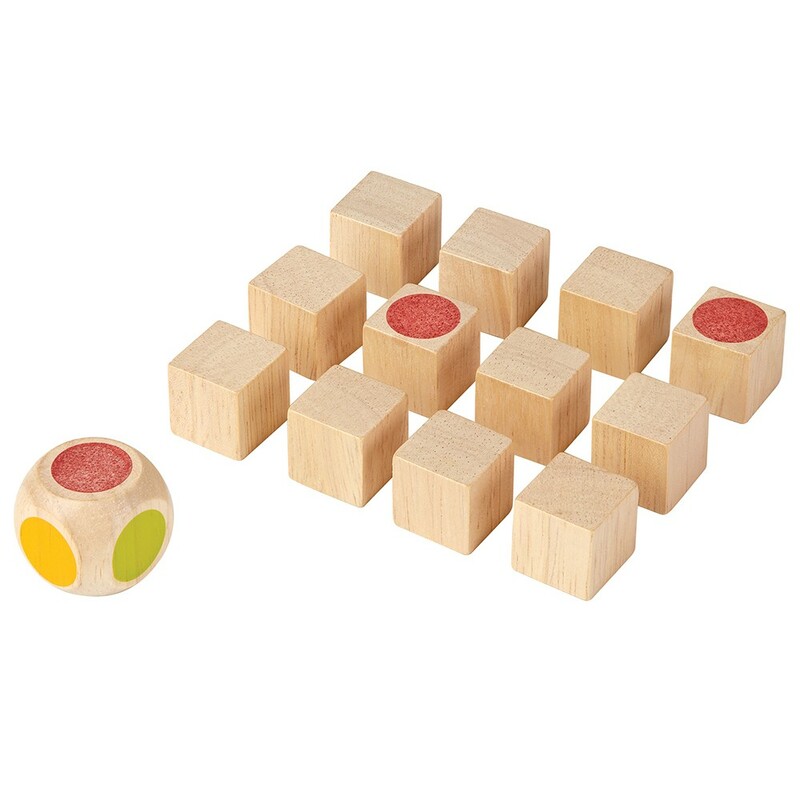 This brain-teaser wooden toy is fun for children to play with on their own, with a friend or together with the whole family. Try to make pairs, or take away one cube at a time for each correct guess - it's up to you how you play. This set comes in tin, making it a lovely gift set for a child and handy for taking out and about. Each cube is 2.5cm x 2.5cm x 2.5cm. Suitable from 3+. Warning: not suitable for children under 3 due to small parts. Plan Toys are the original eco toy maker leading the way in sustainable manufacturing and quality wooden toys to stimulate young children. 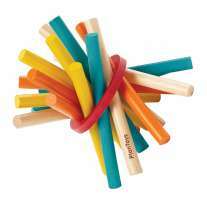 Plan Toys use rubber wood from trees that no longer produce latex and would otherwise be burnt. They also create some toys from 'eco Plan Wood' which is made from another waste product, the roots of the rubber trees. This sustainable wood source is then kiln dried without the use of chemicals, glued together with Plan Toy's own e-zero formaldehyde free glue and dyed with water based dyes to create a wonderful selection of eco friendly wooden toys.